The Baths of Constantine or North Baths date back to the early 4th century, and are counted among the best preserved Roman baths in France. The Baths of Constantine or North Baths date back to the early 4th century, and are counted among the best preserved Roman baths in France. 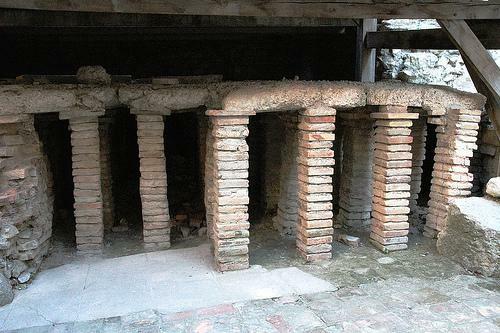 The ruins include the caldarium (steam room) with its hypocaust (underfloor heating), which is linked to the tepidarium (warm room), the laconicum (sauna), and frigidarium (cold room).